This is an announcement of a temporary, partial, suspension of shopping services due to travel starting mid May 2019. Please read carefully for full details. Tenshi will be abroad starting late May through early June. Because of a particularly busy schedule while abroad this time, App Shopping services (for Mercari and Rakuma-FRIL) will not be accepted for a period of time. Online Shopping, Auction Shopping, and some In Store Shopping requests will still be accepted. 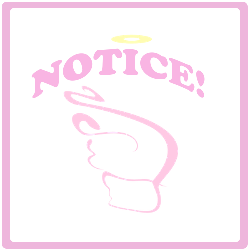 Shipping will be completely suspended while Tenshi is away from Japan, and will resume only when she returns. Please see below for dates related to the suspension of services. Although some services will remain open during travel time, please expect longer response times than usual. The availability of In Store Shopping will depend on the shop. Please contact Tenshi with your inquiry. All Spot Claims/Reservation requests made for items that end up being released during the closure WILL be honored/attempted as usual. Any app shopping packages that arrive after Tenshi has left Japan will not be accepted until she gets back. Although the suspension of App Shopping has been timed in such a way that all items should arrive before she leaves, if any items arrive after her departure due to slow shipping on the seller’s part, they will not be covered by Mercari and Rakuma-FRIL’s buyer protection, because they cannot be personally checked as accepted. If you are trying to squeeze an app listing in right before the suspension period, please understand this risk, and consider paying extra for traced shipping if the seller is not already using traced shipping within Japan, which lowers risk to the buyer significantly. The first shipment after returning to Japan is expected to be between June 10-14th.